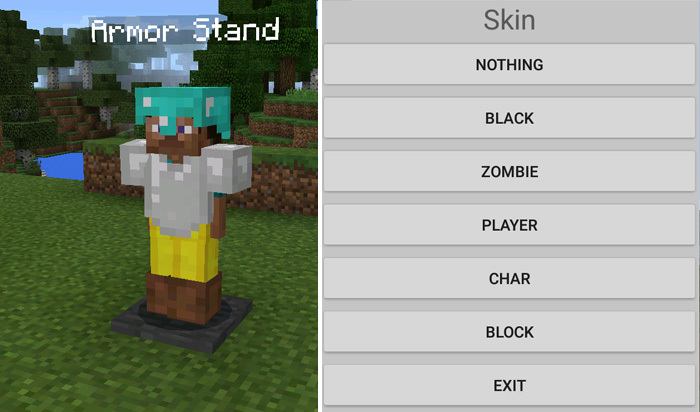 Find the armor stand item in your creative inventory. The item icon looks like a pressure plate. Place down the armor stand on the ground. (Make sure you’ve set difficulty to max. Otherwise there’s a possibility it won’t work. )Most of the time it will spawn empty. Tap on the armor stand with armor items to add them to the stand. The armor stand can be used to display any type of armor set, even mixed ones. 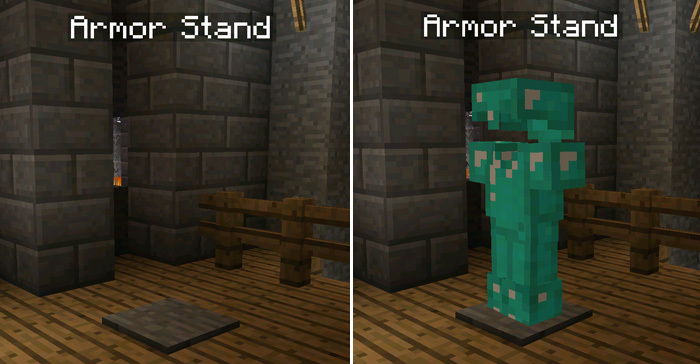 You can add mannequins (zombie/player) to an armor stand. Tap on it with an empty hand to open the menu. Important: This mod requires Block Launcher which is a third-party app for Minecraft PE.